Food is life so even when we are traveling, it is very important that we have something to eat especially if we are going to a new place. 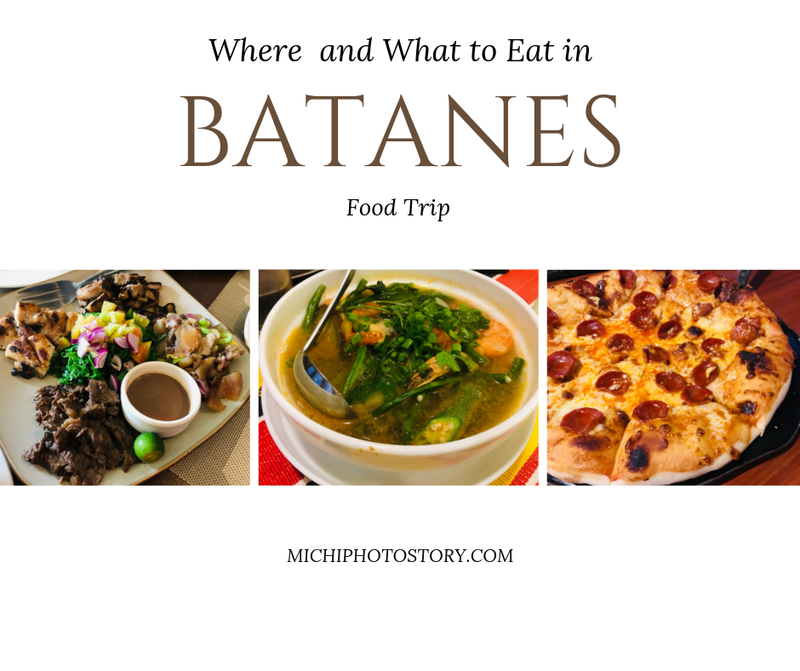 Batanes is a province of the Philippines but information are limited so I was a little bit worried when it comes to food. 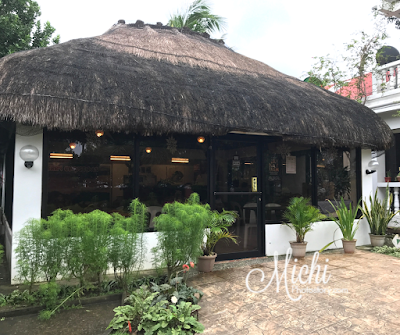 I searched for the Best or Top Restaurant in Batanes, I watched videos, read some blog reviews, forums and among the choices, I added Cafe Du Tukon and Casa Napoli in my “Must-Try Restaurant in Batanes”. That is also the reason why we stayed at Bernardo’s Hotel because it is the home of Casa Napoli. 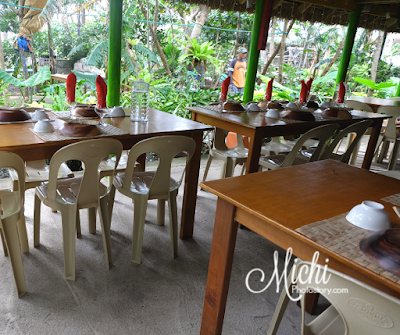 I wish we have the budget for Fundacion Pacita so we can eat at Cafe Du Tukon too. 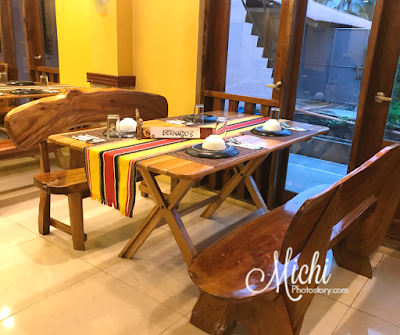 Anyway, to make our life easier, my husband and I decided to avail the Batanes Tour Package at Bernardo’s Hotel. We are going on a holiday so I’m not sure kung open ba mga restaurant, we experienced that during our Sagada trip, lunch pa lang nagsasara na yung mga restaurant. 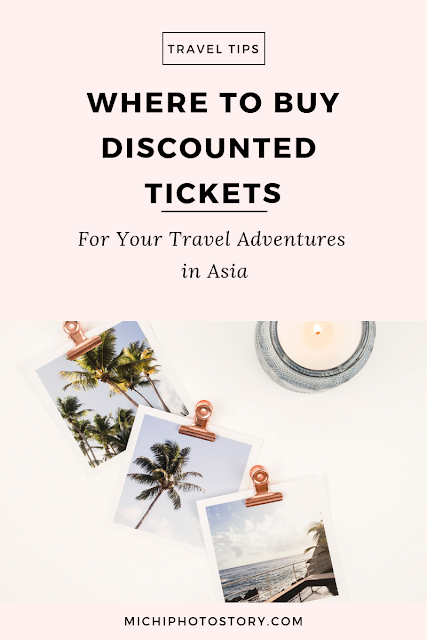 The package already includes tours, round trip service, lunch and dinner. But since I have no idea about the restaurant and food, I brought some canned goods, yung ready to eat na so just in case hindi namin type yung food, hindi kami magugutom. But you know what, we enjoyed the food in Batanes so inuwi ko din baon namin na canned goods. 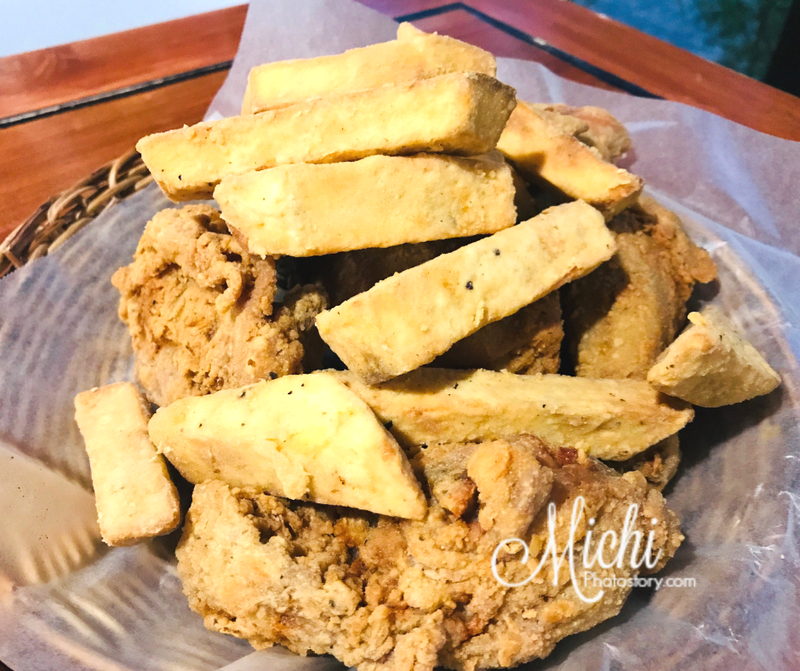 Sharing with you our food trip in Batanes. We stayed at Bernardo’s Hotel for 4 days and 3 nights so the room includes a complimentary breakfast for three. It is not a buffet breakfast but we have choices. 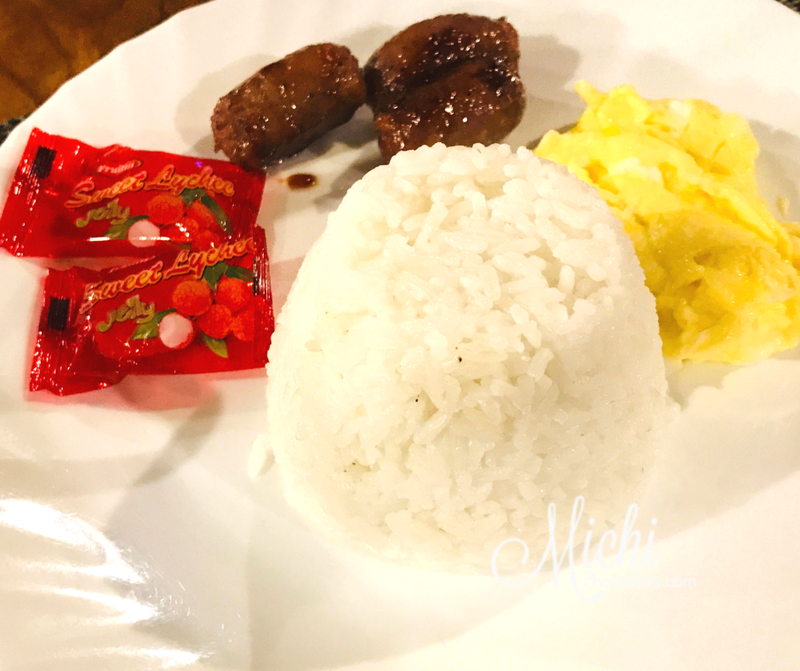 But for the first day, we did not choose our meal, they served canned meatloaf, scrambled egg, rice, and lychee jelly. Our tour guide and driver fetched us at 12NN, the tour guide informed us that we will have lunch first and the van stopped at Pension Ivatan Hometel Restaurant. There was already a reserved table for us and we just waited for our food. They served the food one at a time so every time na nagseserved sila, nasusurprise kami. We are expecting that we will just have rice and one viand pero it was a complete meal pala. 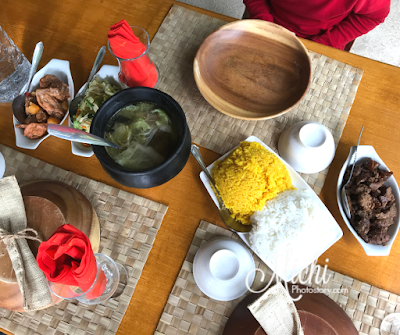 We have soup, a platter of grilled beef, chicken, pork, kilawin and veggies, okoy and leche flan for dessert. For a family of three, ang dami nito so take-out na lang yung okoy. We have the energy now for our North Batan Tour. 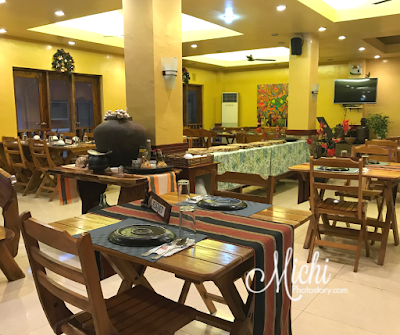 It was December 31 so the tour guide was not sure kung open din ang mga restaurants sa bayan so he asked us kung san namin gusto magdinner. I thought, nakaset na yung restaurant for dinner namin, may choice pala kami for dinner. After few minutes of contemplating, we said Casa Napoli. Well, that is one of the reasons why I stayed in Bernardo’s Hotel, I want to try the best pizza in Basco, Batanes. Since it is located at Bernardo’s Hotel, hindi na nila kami need sunduin pa. 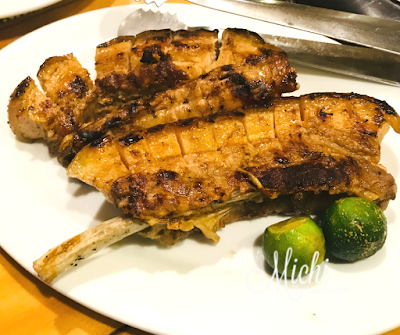 The tour guide informed us that we have PHP900 budget for our dinner, we can order what we want and we just need to pay for the excess. We ordered in advance because they will be closed as early as 7PM so they can prepare for New Year’s Eve too. Casa Napoli offers pizza, pasta, chicken, dessert and drinks. 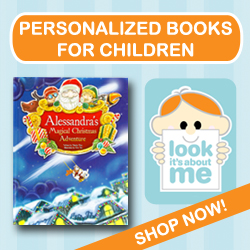 We ordered Pepperoni Pizza P350, Bucket Chicken P695 and Iced Tea P50. We ordered cheesecake but it was not available. 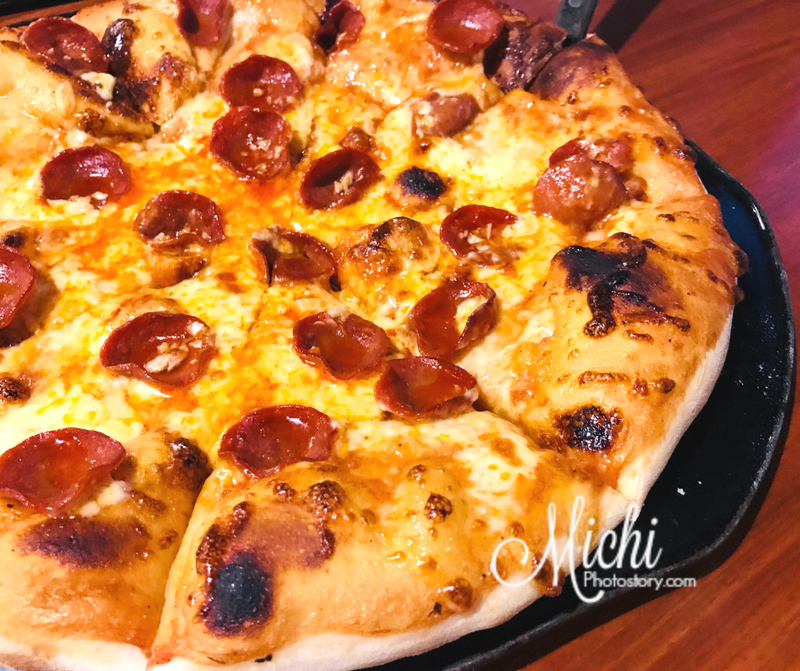 Pepperoni pizza is my son’s favorite kasi so most of the time yan ang pizza namin but they have 11 pizza flavors such as Italiana, Supreme, Con Carne, Mattaw, Primavera, Magherita, Hawaiian, Pepperoni, Ham and Cheese, Garlic and Cheese and Mexicana. We love the pizza and there is no doubt that they consider it na best pizza in Basco kasi masarap naman talaga. Mas masarap pa nga siya kaysa sa ibnag pizza dito sa Manila. The chicken and mojos are good too, hindi rin namin naubos sa dami. At least we have food before New Year’s Eve. 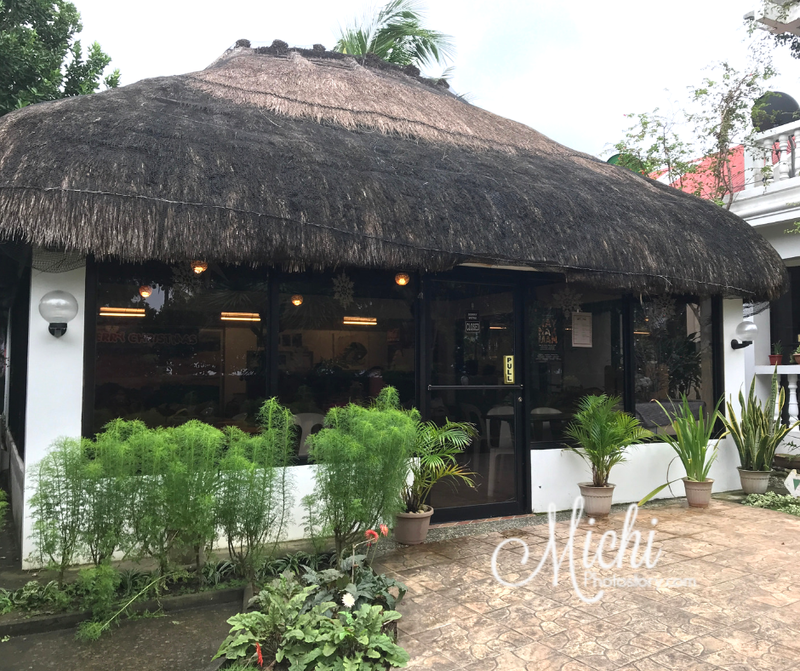 If we stayed for one week in Batanes, for sure we will eat at Casa Napoli again. But because of limited time, we want to try other restaurants too. As early as 5:40AM we were eating our breakfast, we ordered longganisa and one-day-old fish. One day old fish kasi one day nila pinaarawan. So yes, it is a dried fish and we like this. After our breakfast, off we went to Ivana Port for our Sabtang Tour. 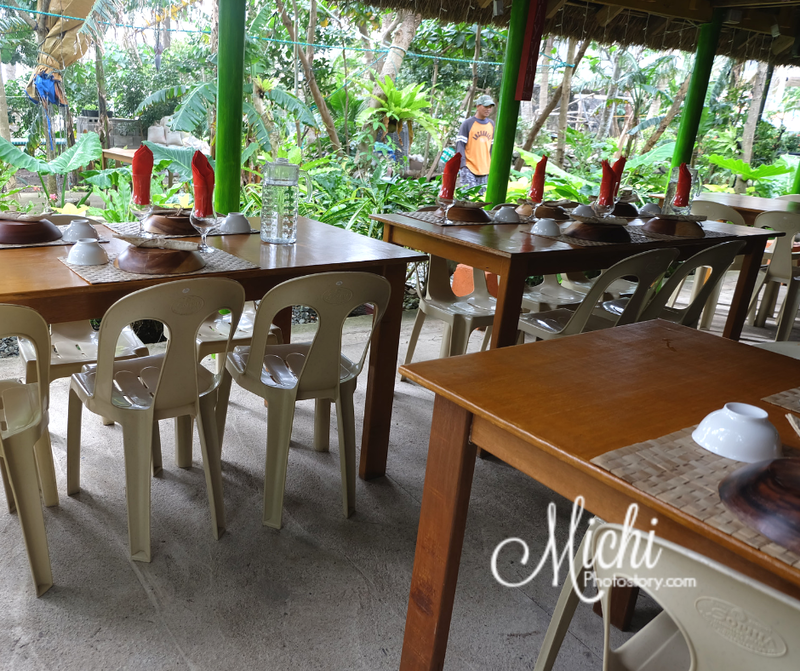 For our lunch, we ate at Pananayan Canteen & Catering Services. It is located at Morong Beach and Mayahaw Natural Arc, so after taking pictures we just went there for our lunch. 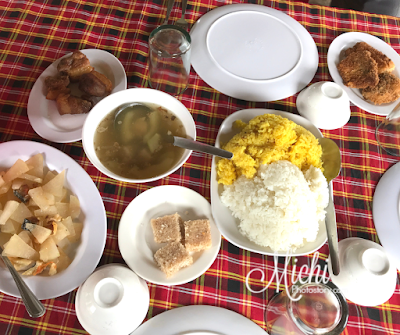 They served a complete meal too, we have chicken tinola, vegetables, fried pork, fish fillet, rice and bukayo for dessert. We have two kinds of rice, turmeric rice, and white rice. I tried the turmeric rice pero hindi overpowering yung turmeric so my son ate this rice. 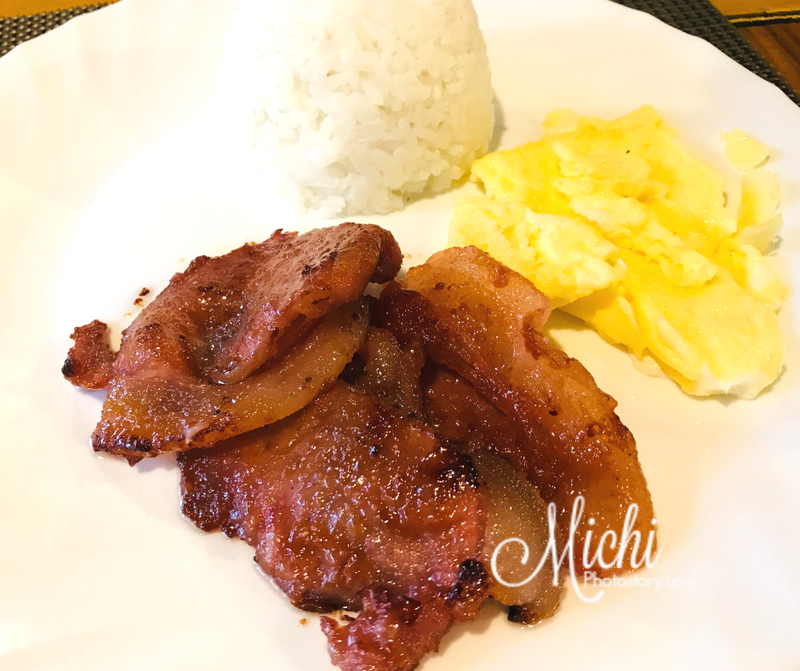 The food presentation is simple but we’re satisfied naman, basta may fried pork, okay na kami ng anak ko. 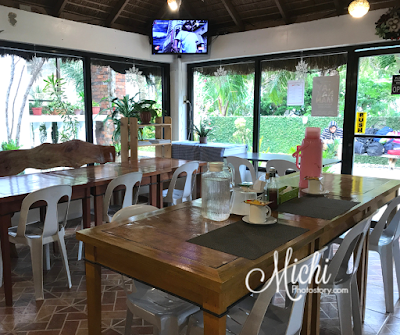 The day before our Sabtang Tour, I suggested to my husband that we will eat merienda at Cafe Du Tukon. Maaga kasi matatapos yung tour namin so we have time before dinner time. But after what happened on our way back to Basco, we decided to rest na lang sa hotel, I will share that next time. 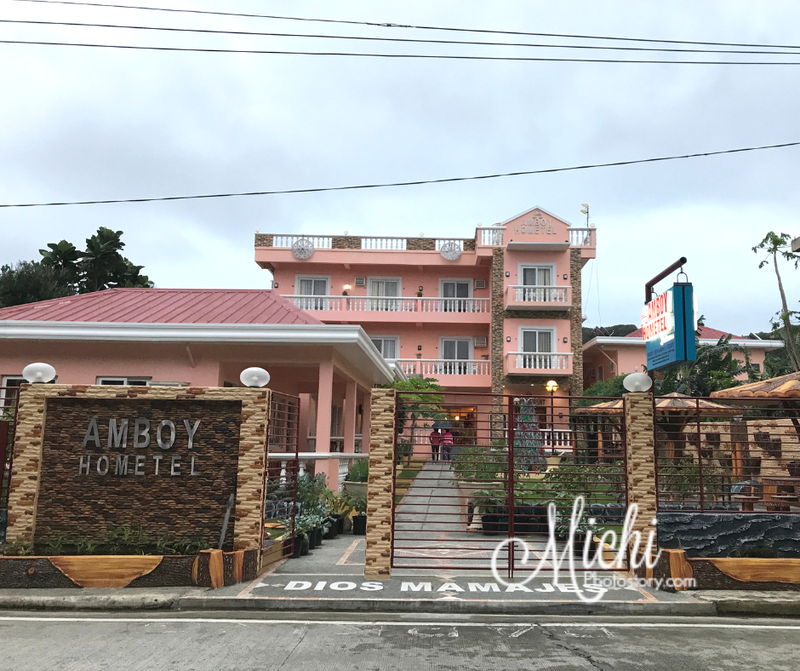 Most of the restaurants are closed on January 1, even Casa Napoli is closed so we are thankful that Amboy Hometel accommodated us. 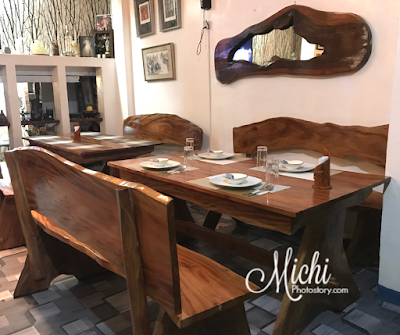 Before going back to Bernardo’s Hotel, our tour guide dropped us here to reserve table and order food. I did not go down anymore, my husband ordered Sinigang na Hipon, Grilled Liempo and Rice. I forgot the exact price pero alam ko may sukli pa sa P900 budget for dinner. Amboy Hometel is just a few minutes walk from Bernardo’s Hotel so hindi na kami sinundo ng driver at tour guide namin. Amboy Hometel is a popular accommodation in Batanes too, if you watched Biyahe ni Drew show, dito sila nagstay. Our reservation is 5:30PM and on-time sila ha, hindi kami naghitay ng matagal. They already served our food. The food is good for three persons and sobrang nabusog na kami. We are satisfied with our food, bet ko grilled liempo because it is tender, juicy and flavorful. Service is good too and they always refill our drinks. 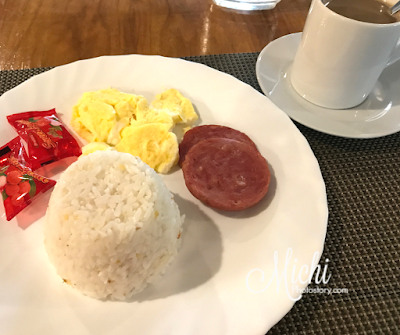 Our South Batan Tour is 8:30AM so we ate our breakfast around 7:30AM. We ordered tocino, longanisa and one-day-old fish. 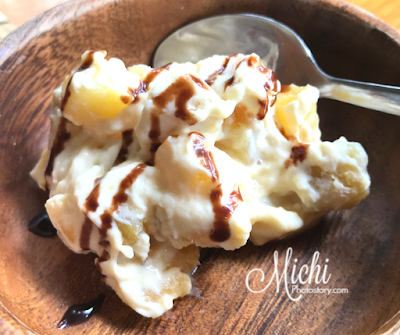 They served sliced apples for dessert, I was expecting for lychee jelly pa naman kasi naging favorite ko na siya. Hehehe! Our lunch is always a surprise because we don’t choose the restaurant and food. It is a different feeling when we are looking forward to our meals. 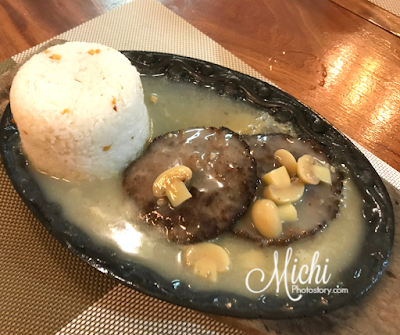 Every lunch time, mapaptanong ako "Ano naman kaya ang kakainin namin?" As usual, we have a feast again at Nanay Ching Restaurant. It is an alfresco restaurant and they served nilagang pork, chicken afritada, pork adobo, chopsuey, rice and camote salad for dessert. 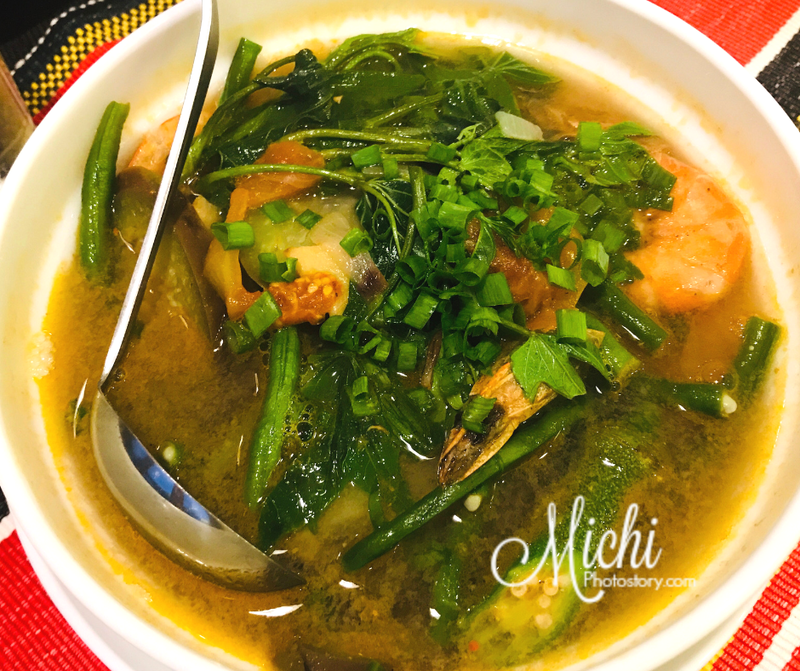 The serving was really huge, pangmalakasan lang. So we took our time eating our meal kasi sayang kung din naman maubos, except for the rice. Hindi talaga namin kayang ubusin. Food is good too. Our driver and tour guide fetched us and we had dinner at Hudzan’s Cafe & Catering. 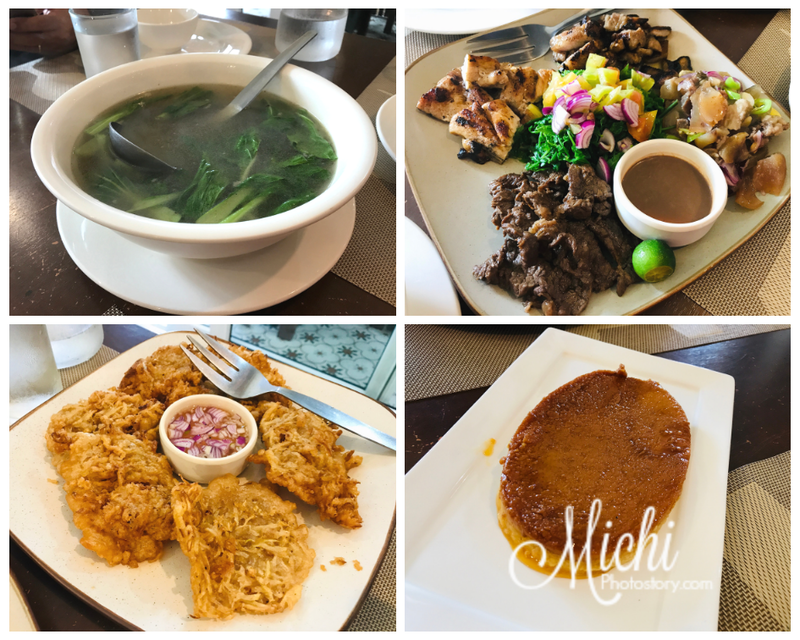 Ang dami food choices but unfortunately, not all are available. Because of the holiday season, hindi pa daw nadedeliver yung supply nila. So we ordered Buttered Garlic Shrimp P350, Burger Steak P150, Crispy Beef Ribs P200, Rice P100 and Softdrinks in Can P40. The presentation of the food is simple but it is good. 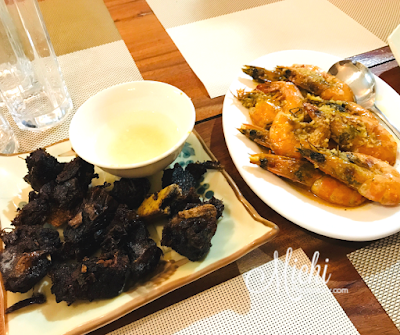 We liked the crispy beef ribs and their version of buttered garlic shrimp. Akala ko nga matigas yung beef pero hindi, it was tender and juicy. Service is good too, lagi nakasmile yung staff nila when taking and serving our order. My son left his jacket at the restaurant and buti na lang hindi pa nakakalayo yung van namin. Naihabol nung staff, that is the only time that we realized na hindi nakajacket anak ko. Buti na lang honest ang mga tao sa Batanes. Fourth day in Batanes and our last day too. 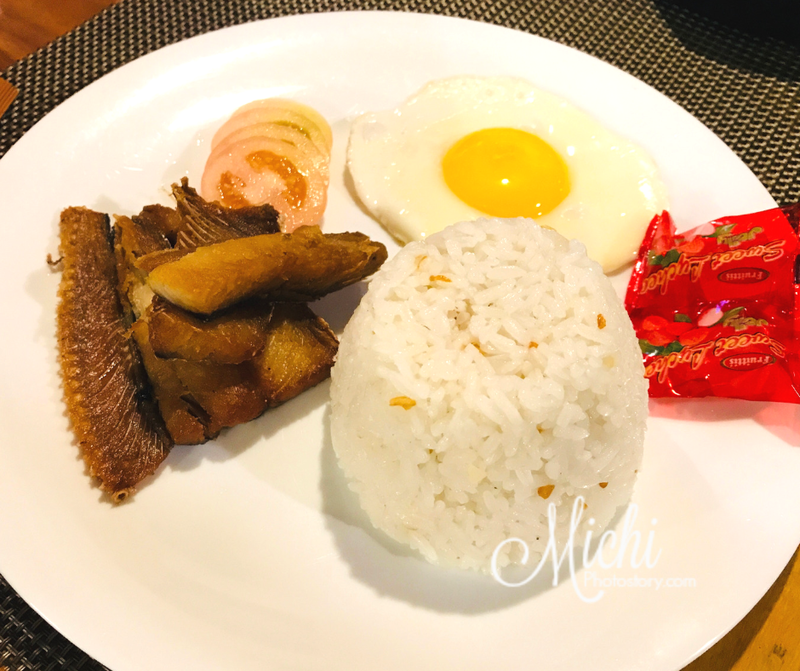 For our last breakfast in Bernardo’s Hotel, we ordered tocino, one-day-old fish and longganisa. 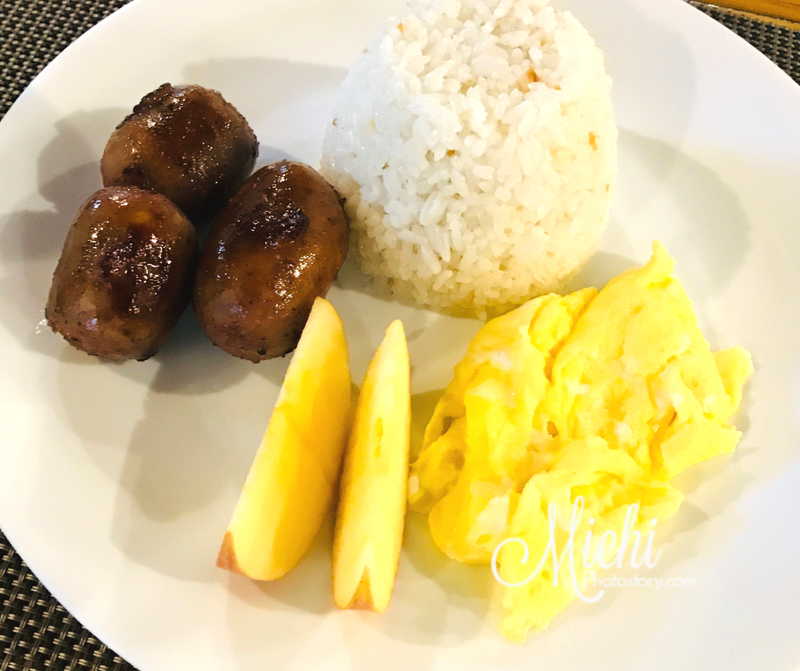 My son likes their longganisa so I bought one pack of it, buti na lang nagbebenta sila. I want to buy the one-day old fish but it is not for sale. 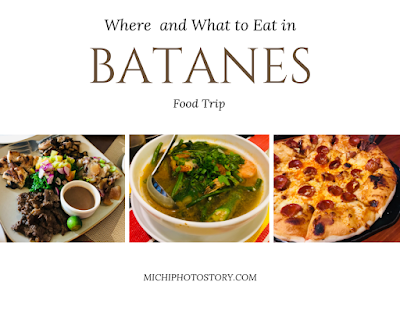 It was funny because I was worried that I will get hungry in Batanes but I ended up gaining a lot of pounds. And writing this post is torture because I really miss our food trip. Oh how I wish, plane ticket is cheap so it is easy to go back to Batanes. Hindi pa ko nakakain sa Cafe Du Tukon.